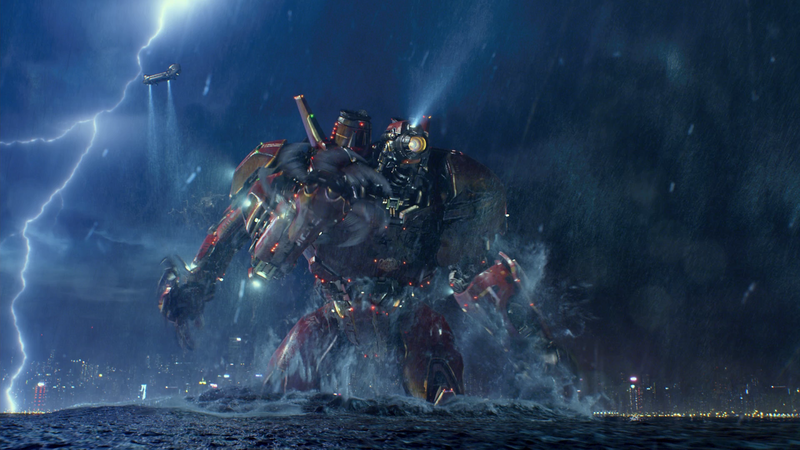 And now see how much more majestic both Jaeger and Kaiju look in the dark. 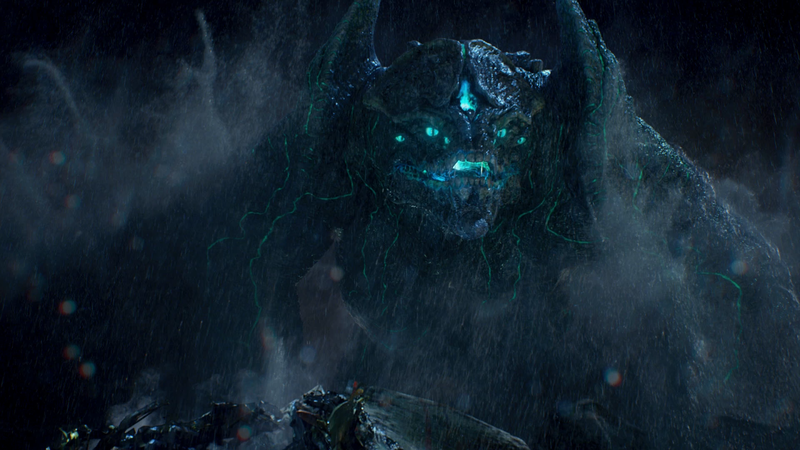 They designed the Kaiju to be practically their own light source, and give a hint about how massive their body is by adding a glow to the veins and orifices of the monster. Then the Jaegers, lights on the robots were strategically placed so that it would help outline the form of the machines and compliment the machines’ colors. 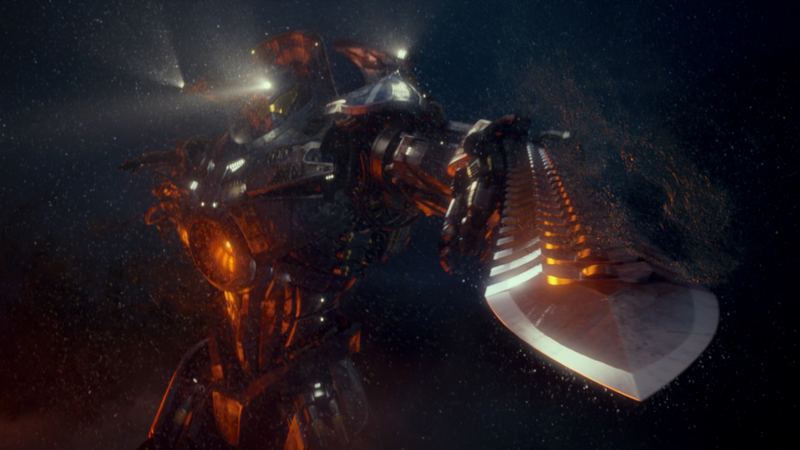 And then they went with all sorts of different other light sources – from helicopters, lighthouses, and lightning to help build the scene and draw attention to where it needed to be.